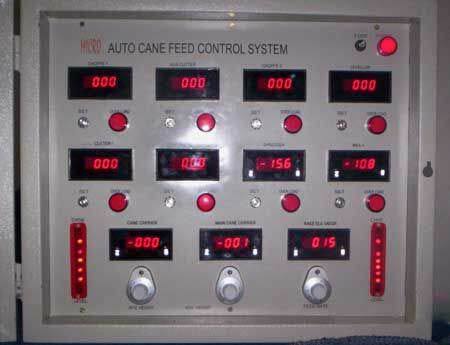 PLC/DCS based Auto Cane Feed Control System-Conventional Type is an star product of MICRO INSTRUMENTS & CONTROL SYSTEM specifically to be used by sugar industries to achieve the targeted performance & smooth Running of the mill by continuous monitoring & maintaining the uniform feed of fibered cane to the mill and avoid any overloading of the devices in cane preparatory system. Substantial improvement in crush rate. Damage due to choking/jamming at can preparatory device & 1st mill is totally eliminated. Fluctuating demand of steam pressure due to irregular feed to the uniform cane feed predetermined rate result in optimum primary extraction. By substantial reduction of wear & tear, the down time reduces automatically and thus productivity improves. 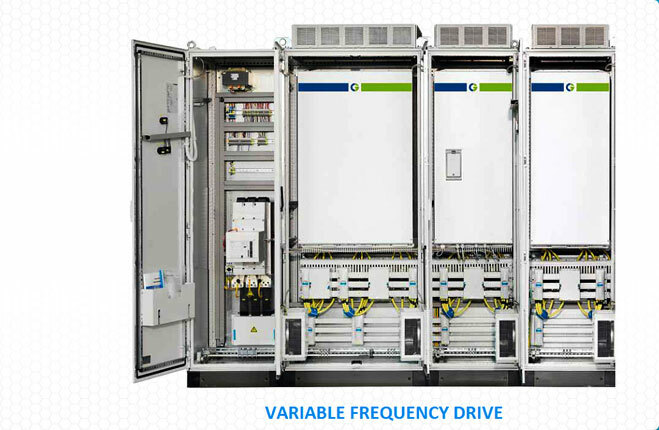 IIf eliminates the necessary of buffer resistors in cutter motors. Power Fuse : 1.5 Amps. Over load indication : 24 - volt Lamp display. Facility : Set RPM and over load by counter dial. Field cable Connected with main unit. Control module : Connected with male & female connector. Current, graph & trends on P.C. Historical graph & trends for one month. Alarms for any electrical signals. Data Set facility for operator. 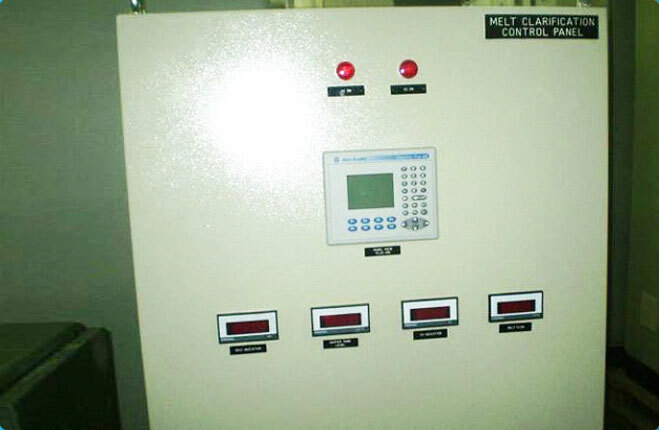 Engineer’s parameter set facility on P.C. through password. Frequent control action to control the process. Complete mill mimic diagram and plant control parameter display on P.C. Any required change parameter set by Engineer facility on P.C. Power saving and cane preparatory equipment 0.5 %. No break down due to elimination of overloading. Any increased life of cane preparatory equipment. Saving on maintenance cost & time of cane carrier, DC drives and preparatory equipments. Smooth running of the mills avoiding extreme load/hunting of DC drive. To avoid tripping / overloading of drive/motors. Maximum extraction shall be achieved.